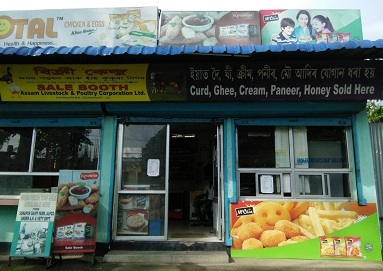 At a time when the Minister of State for Health and Family Welfare Pijush Hazarika with his team continue to conduct raids in several shops, godowns and markets to check adulterated food products across the city, selling of rotten packaged eggs by the Assam Livestock and Poultry Corporation (ALPCO) at its sale booth in Khanapara here came to light on Saturday. “It means the company has been fooling the people by selling rotten eggs,” said the customer, who is a veterinarian. 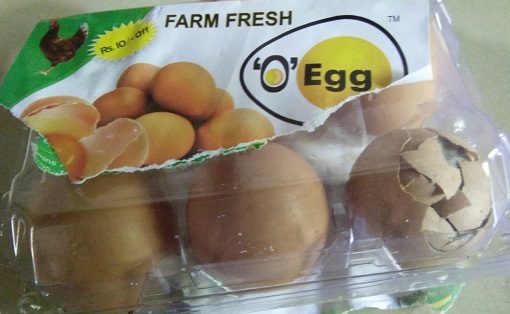 As per information, the packaged eggs – ‘O’ Egg – were supplied by the Barman Food and Beverages Company, located at Amsing Jorabat in Guwahati. Sources said, the packaged eggs are stored at the company’s storehouse in Khanapara area here. However, two officials of the Barman Food and Beverages Company gave contradictory statements regarding the storage of the eggs before sale. Now, question arises regarding the monitoring system during the packaging process of the food and beverage company from which ALPCO purchases eggs for their customers. Satyajit Deka informed that the company does not keep the eggs for a long time in their farm. “We immediately disperse the packaged eggs to the sellers,” he said. He further informed that eggs in normal room temperature remains in good condition for 15 days and in freezing system remains in good condition for 30 days. But the packaging date of the rotten eggs was shown in the packet as June 23, 2018. Talking to Northeast Now, Parishmita Kalita admitted about possible replacement of old eggs with new eggs during packaging. As per reports, frozen eggs can make a person ill. Once an egg freezes, the contents inside the shell expand which may cause the shell to have cracks which may be the entry point for harmful bacteria. Deba Kumar Barman is the owner of the Barman Food and Beverages Company.